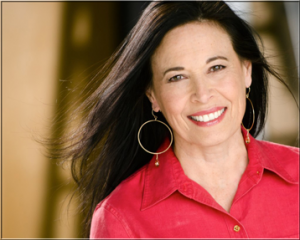 Kathe S. Perez is an internationally-known speech pathologist who has extensive experience working with business leaders, professional singers, broadcasters and others looking to improve or change their voices. Since 2000, she has focused her work on helping those in the transgender community discover their true voice through the use of her acclaimed voice feminization programs. As founder and president of Exceptional Voice, Inc., Kathe specializes in giving those in the transgender (TG) community the voice training and tools they need to live their lives to the fullest and most authentic expression of their true gender. A certified speech-language pathologist, Kathe developed a voice feminization training system that has helped thousands of transgender women from all over the world express themselves as the women they truly are. From her 30-Day Crash Course Program and YouTube channel tutorials to one-on-one sessions, Kathe has given TG women a variety of resources they can use to transform their voices. Kathe has presented and demonstrated her voice feminization techniques and exercises at conferences around the United States including, Be-All, California Dreamin’, Colorado Gold Rush, Esprit, Fantasia Fair, First Event Transgender Conference, Holiday en Femme, IFGE Conference, Keystone Conference, and Southern Comfort Conference. In 2010, Kathe had the honor of presenting to and collaborating with speech pathologists and voice scientists at The Karolinska Institute in Stockholm, Sweden. Kathe has co-authored a number of scholarly articles for professional publications and has worked with a variety of experts on techniques and training for realizing one’s voice potential. One such collaboration was with noted voice coach Lynn Skinner for the voice feminization audio training series, Fundamentals of Your Feminine Voice, which has received international recognition and acclaim. When not working with transgender individuals, Kathe provides speech, voice and public speaking training programs for companies and small businesses as well as individuals such as singers, actors, broadcasters, auctioneers and teachers. She has taught graduate and undergraduate courses at the University of Colorado at Boulder, Metropolitan State College of Denver and the University of Northern Colorado at Greeley. Nationally, Kathe has conducted customized workshops, seminars and training programs for professionals who wish to improve their voices. In 1993, Kathe undertook doctorate coursework for speech and voice motor learning at the University of Colorado at Boulder. She received her Master of Arts degree from the University of Colorado at Boulder in 1986. She studied under famed Speech, Language, and Hearing Sciences Professor Lorraine Ramig, PhD, at the University of Colorado at Boulder and interned with one of the top voice specialists in the world, Robert Sataloff, MD. She is a certified speech-language pathologist and a member of the American Speech-Language and Hearing Association.